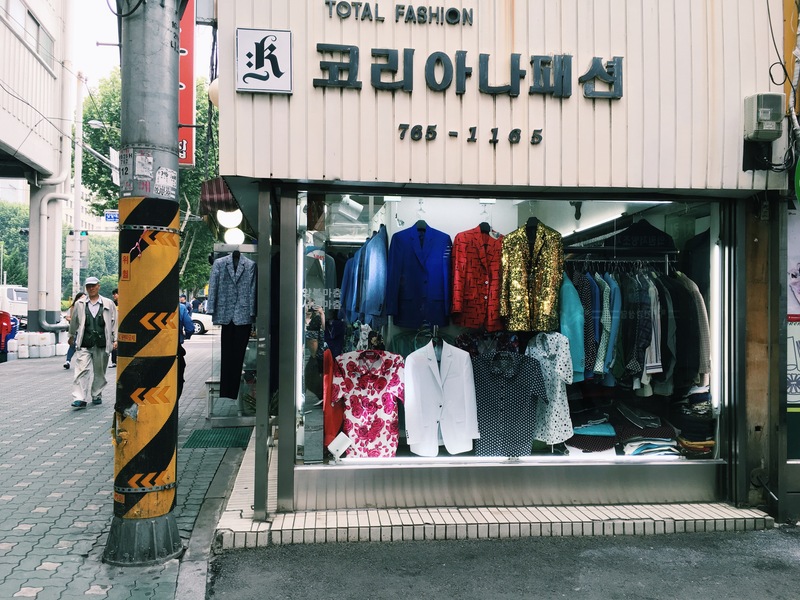 tl;dr – (ﾉ◕ヮ◕)ﾉ*:･ﾟ✧ I LOVED SEOUL!!! Now I’m in Taiwan for 3 weeks. I did not want to leave Seoul this morning. It was raining and I had this feeling of dread as I walked through the terminal to my gate. The kimchi withdrawals were already beginning to kick in. The overwhelming sadness was not helped by the fact that I had just spent the night sleeping in the airport on a bench for just 4 hours. While I had intended on rounding out my Korea trip the same way it began (lounging in the Incheon Airport spa), things did not pan out the way I’d hoped. I got to the spa at midnight and the place was fully booked. The train back to the city had already stopped running for the night, so I trudged through the airport until I found a decently cushioned row of chairs to curl up on. At 5 am, I woke up to the shrieking sound of packaging tape being wrapped around luggage. A huge group travelers chatted loudly about whatever there is to chat about at 5 am. 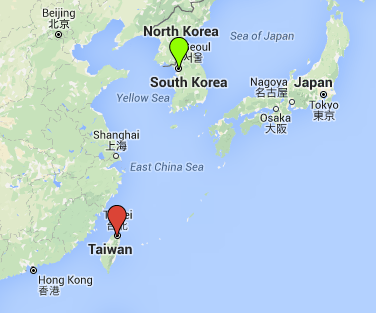 I heaved my backpack on and checked into my Taipei flight. I hadn’t expected to love Korea, and I definitely didn’t expect that I was going to LoOooOooooOooooOooOoove Seoul. It actually hurt to pass through immigration. It didn’t matter whether I was eating tteokbokki alone at a restaurant or drinking soju with new friends, I loved nearly every moment of my time in Korea. The city is so livable and interesting. The food is weird and incredible. The public transportation is thorough and convenient — even if I did manage to mess up every time I took it. 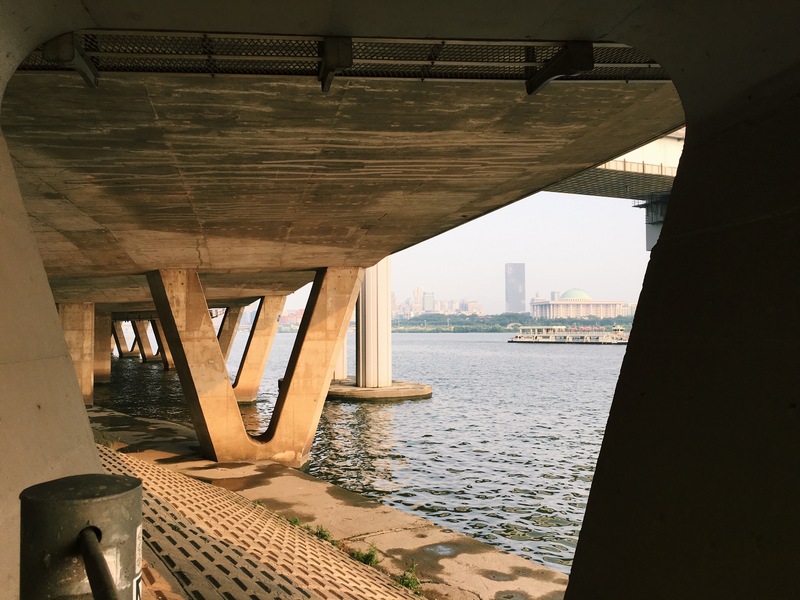 My favorite running path along the Han River. Speaking of getting lost, I botched the one big sightseeing adventure I attempted in Korea. Getting to the DMZ, the demilitarized zone that separates North and South Korea, was a true nightmare. 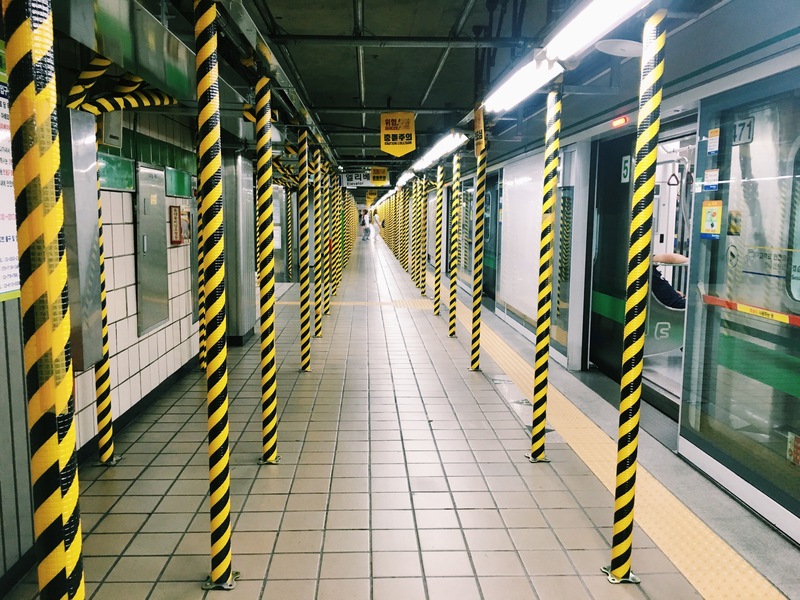 Step one – Get lost at Seoul’s main train station. Literally run around the massive station trying to catch a 9:20 am train. Ask for help. Get conflicting information from every employee. Do this for one hour. Step two – On the verge of crying, finally get on the right train to Munsan Station. After about an hour of travel, get off the train at Munsan and walk to the bus stop. Twenty minutes later, get on a bus to Imjingang Station. Step three – Get off the bus at the wrong stop. Note: The key to this step is to not know you are at the wrong stop. Step four – Walk around the ghost town of a stop and feel like giving up. Try to find a ticket booth you saw on some travel blog. Stare at the buildings and notice that nothing is written in English. Feel like a failure. Step five – Open up Google maps, tell yourself that you won’t wasted 4 hours of your life only to give up on your DMZ dreams now. Start walking along the highway toward Imjingang Station. Don’t cry. Step six – Hail the taxi that comes along, as though by magic. Show him your Google Map and understand exactly zero of his Korean. Sit back and revel in the air conditioning. Step eight – Seek out help from a kind Korean man working at a kiosk. Sort of understand him and start walking down the highway again. Step nine – MAKE IT TO THE DMZ PARKING LOT!!!! Be weirded out by the amusement park blasting Justin Bieber music. 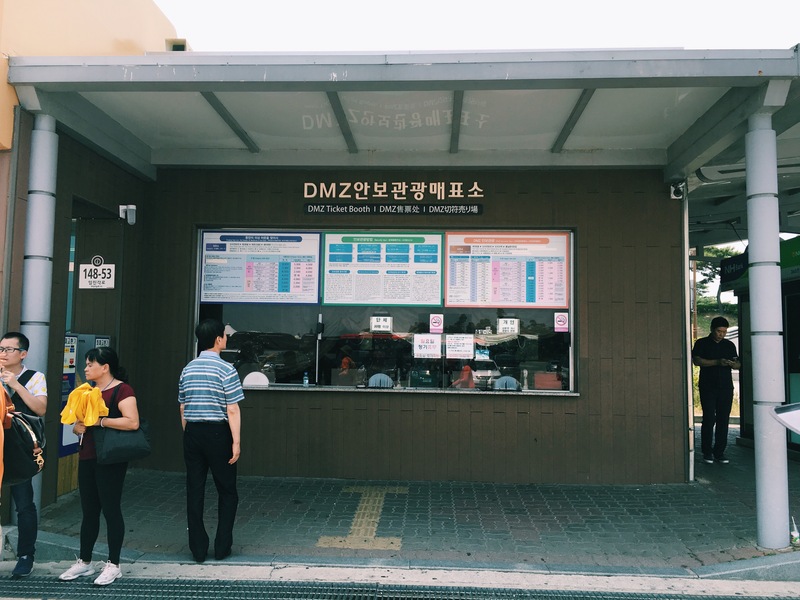 Find the ticket booth and pay for a tour of the DMZ. Step ten – Get on a tour bus. Realize you’ve just committed to a 3 hour tour. Feel overwhelmed. Step eleven – Look with your very own eyes at the southernmost part of North Korea. 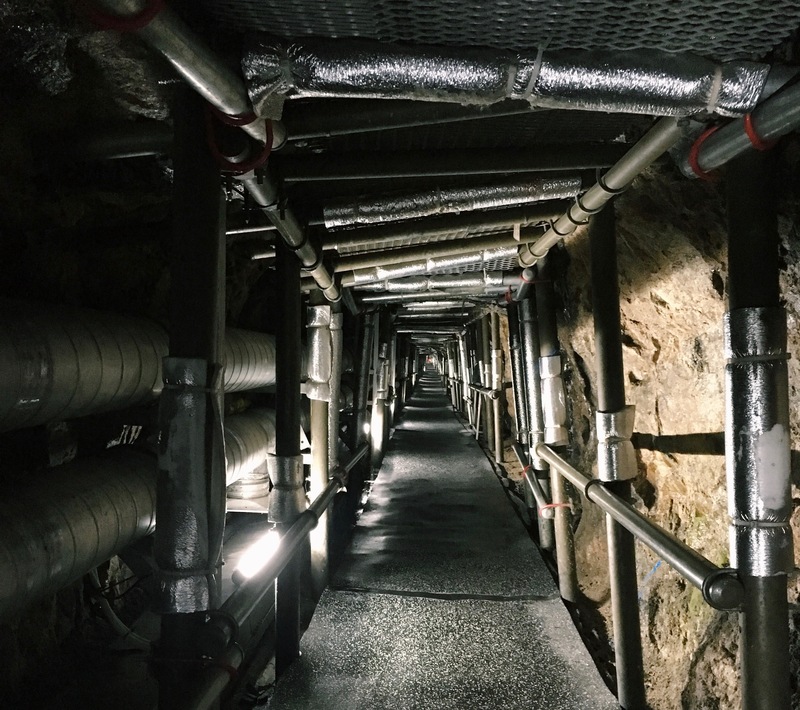 Walk through tunnels that the North Koreans built to try to infiltrate after the Korean war. Feel lucky to be there, but feel exhausted. Step twelve – Take one bus and two trains back to Seoul. Mess up twice. So visiting Korea wasn’t a piece of cake, but it was a dream – a dream I am sad to wake up from. I could honestly see myself living in Seoul, getting lost on the subway every day and consoling myself with Korean desserts. 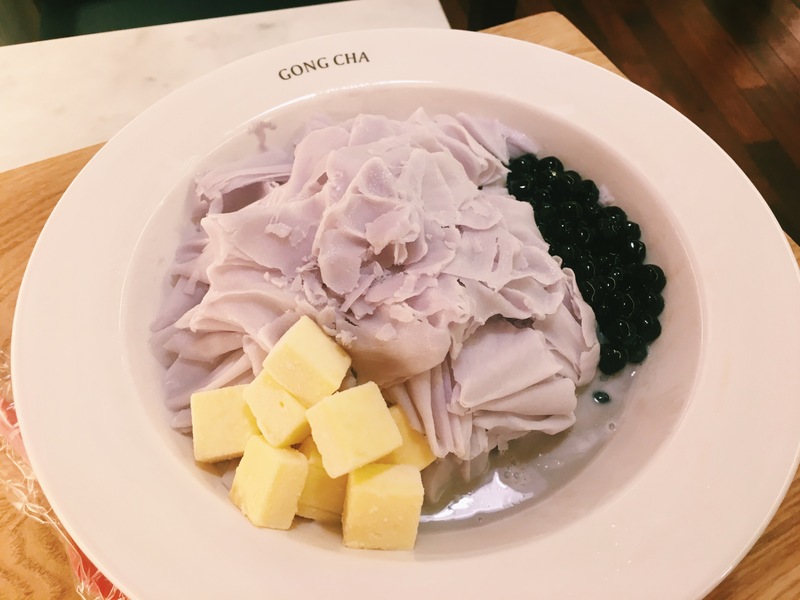 Taro shaved ice with boba, because dreams *do* come true. But that chapter of this trip is over. It’s time to enjoy Taiwan, even if it has a hard act to follow.